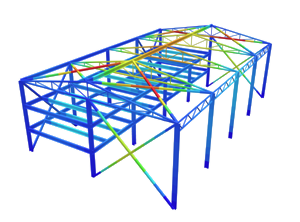 Trusses are an extremely strong, well-accepted, cost-effective option for the construction of various structures. 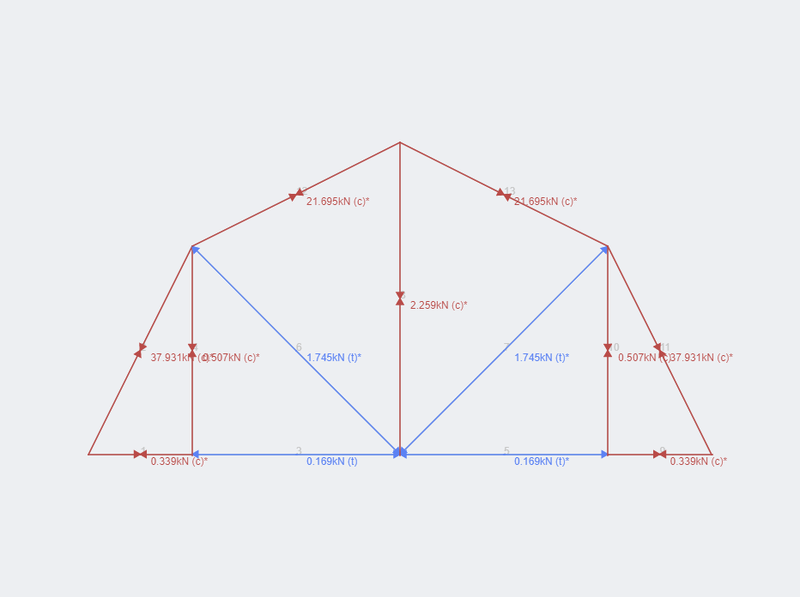 To maximize the efficiency of the structure (which is often measured in the material used or labor), an appropriate truss type should be selected for the design. Today we will explore what types of structures are out there and how they can benefit your design. A Pratt Truss has been used over the past two centuries as an effective truss method. The vertical members are in compression, whilst the diagonal members are in tension. This simplifies and produces a more efficient design since the steel in the diagonal members (in tension) can be reduced. This has a few effects – it reduces the cost of the structure due to more efficient members, reduces the self-weight and eases the constructability of the structure. 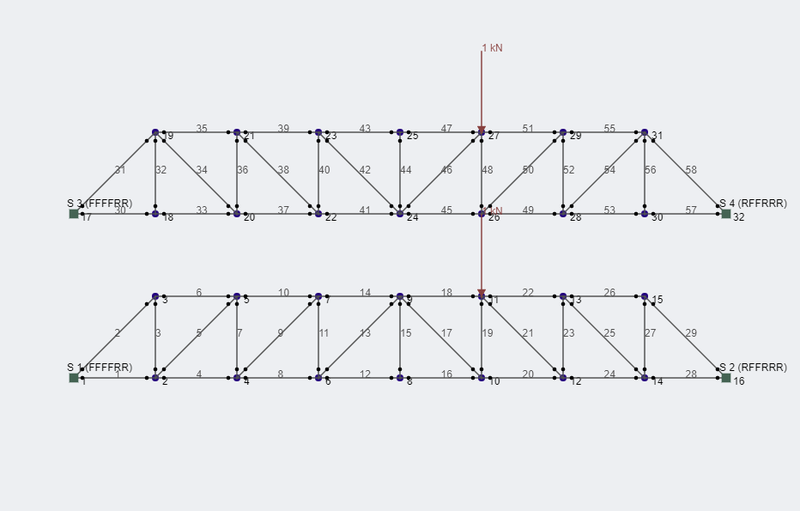 This type of truss is most appropriate for horizontal spans, where the force is predominantly in the vertical direction. 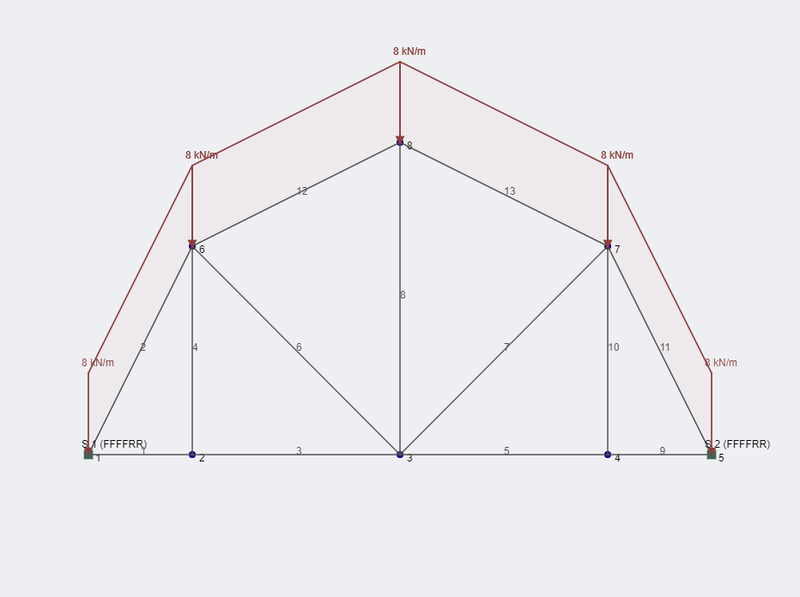 Below is an example of a Pratt Truss, constructed and analyzed using our SkyCiv Truss Calculator. Compressive members are shown as green and tension as red. The Warren Truss is another very popular truss structure system and is easily identified by its construction from equilateral triangles. 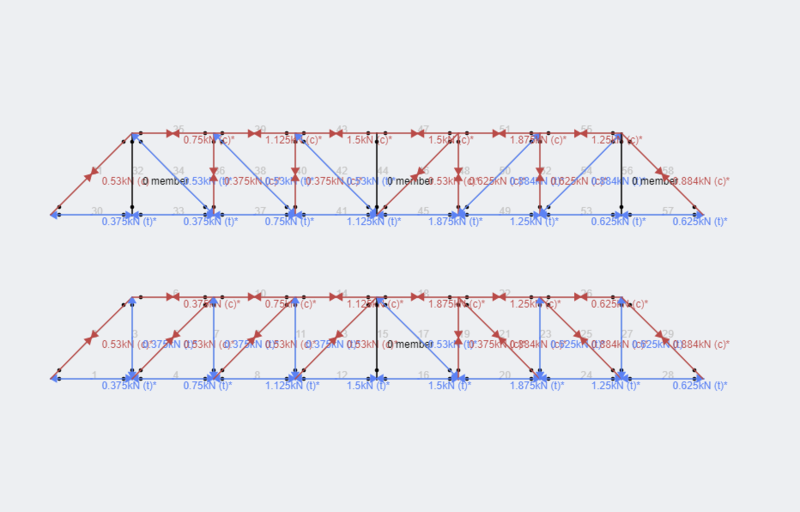 One of the main advantages of a Warren Truss is its ability to spread the load evenly across a number of different members; this is however generally for cases when the structure is undergoing a spanned load (a distributed load). Its main advantage is also the cause of its disadvantage – the truss structure will undergo concentrated force under a point load. Under these concentrated load scenarios, the structure is not as good at distributing the load evenly across its members. 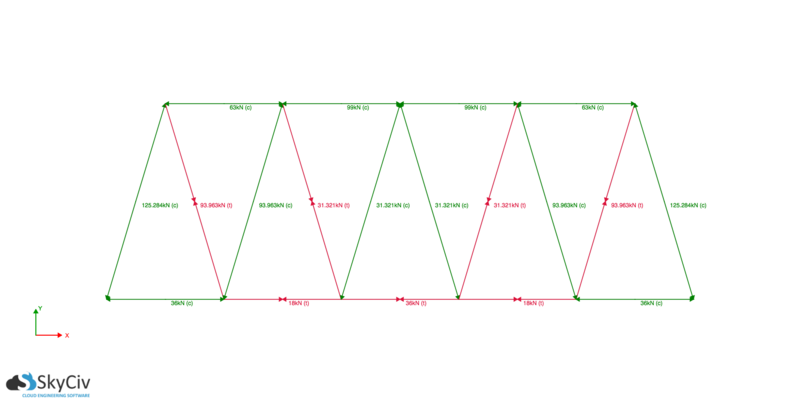 Therefore the Warren truss type is more advantageous for spanned loads, but not suitable where the load is concentrated at a single point or node. An example of a Warren Truss, and its axial forces under a distributed load is shown below. 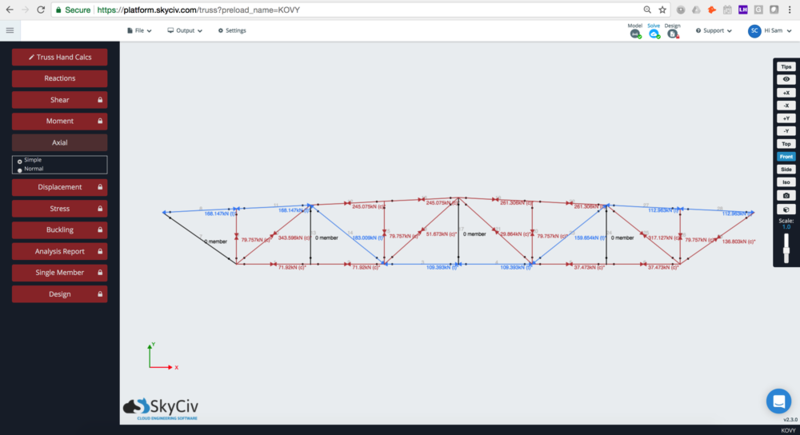 The structure was built and analyzed using SkyCiv Truss Calculator. Compressive members are shown as green and tension as red. 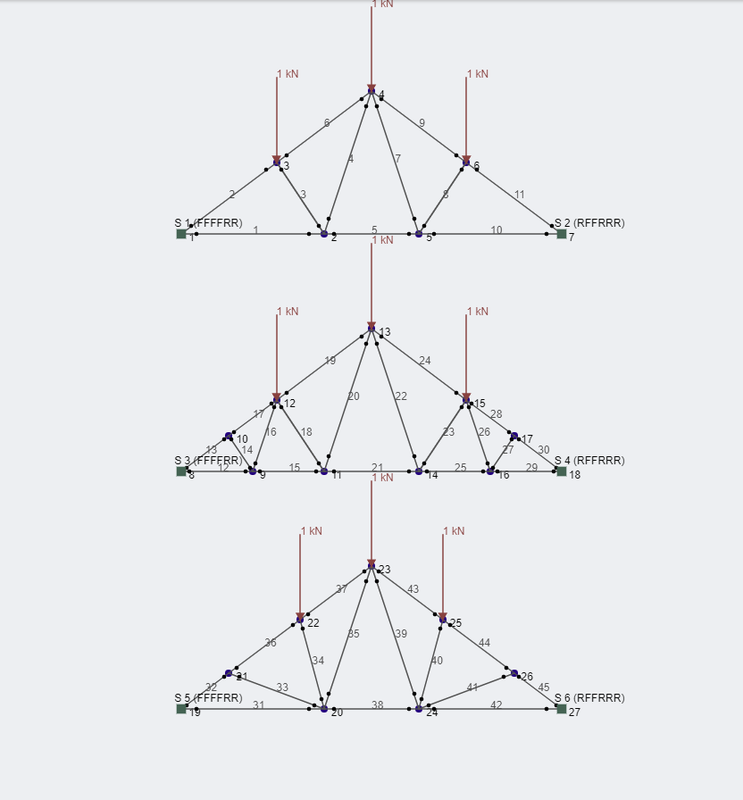 Previously, we discussed how Pratt trusses have their vertical members in compression and diagonal members in tension upon the application of gravity loads at the joints of the top chord. 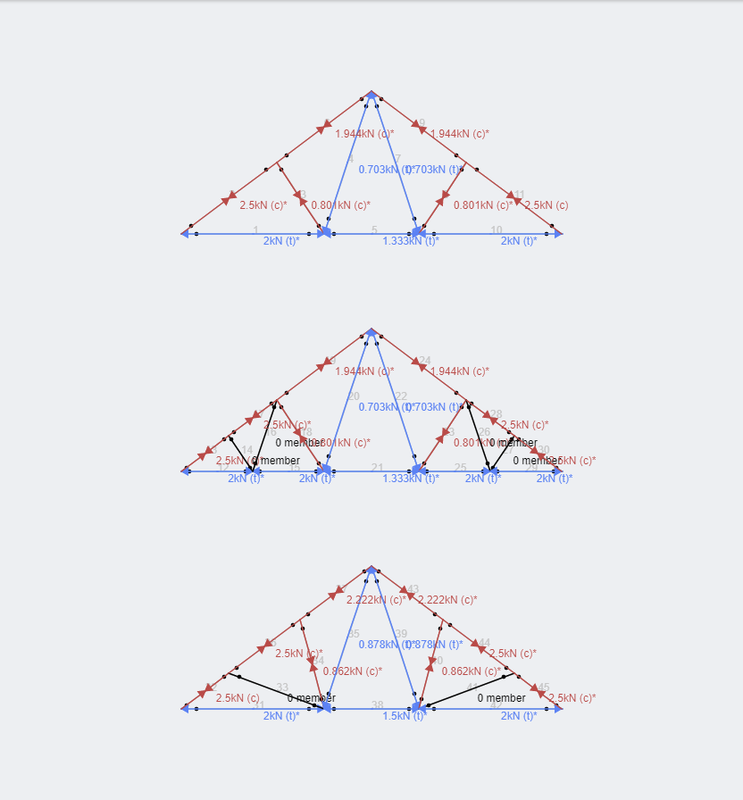 For Howe trusses, the reverse becomes true as diagonal members are now in compression, while the vertical loads are in tension.